Burt's Bees Hand Salve is one of Burt's Bees best selling products and once you try this great hand cream you will probably know why! 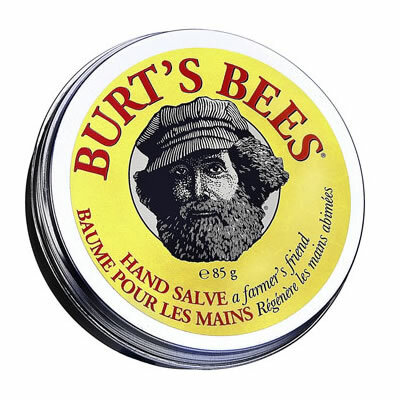 Burt's Bees Hand Salve aims to be the perfect moisturizer for hard working hands, and is Burt's Bees most intensive hand treatment with ingredients that offer healing and moisturising benefits. Burt's Bees Hand Salve contains almond oil to moisturise, rosemary to stimulate circulation and lavandin to help prevent scarring.